It’s all about having something to look forward to. 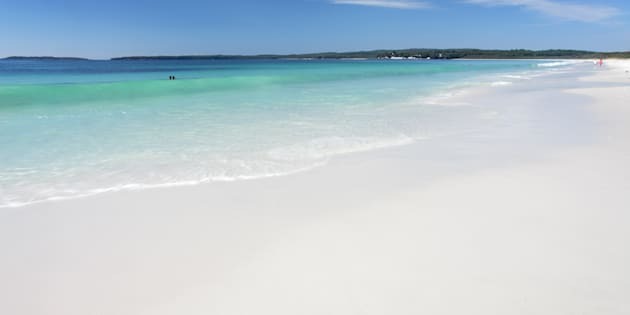 Hyams Beach, on the south coast of NSW, is said to have the whitest sand in the world. We blinked and the summer break was over, amirite? They say time flies when you're having fun and that definitely rings true around Christmas and New Year. In fact, if you're reading this it's likely that you're back at work this week, trying remember your passwords and pining for another holiday. To ease the pain, we've got a selection of fun weekend trips you can plan from each capital city. Jump on the M1 via the Princes Highway and in just under three hours you'll come to Hyams Beach within Jervis Bay on the NSW South Coast. 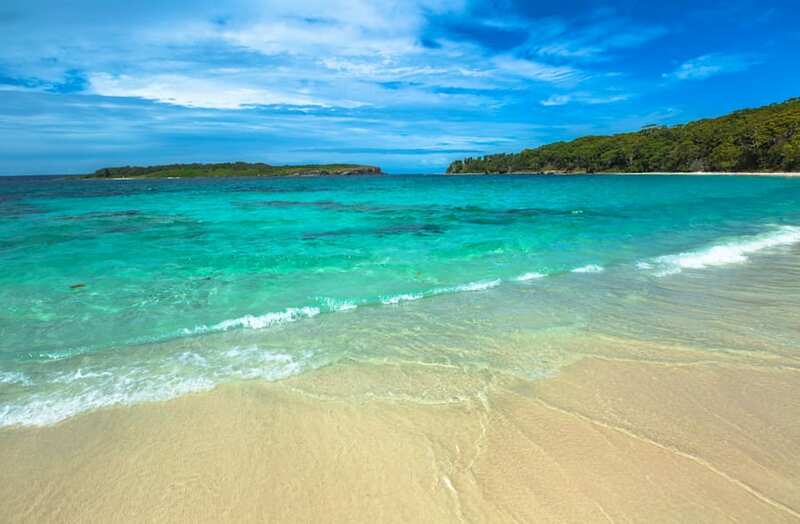 The stunning stretch of white sand and aqua water is as close to the Mediterranean as it gets in Australia. You can swim, fish or snorkel the waters or hike the Beach Trail if that's more your thing. In terms of accommodation, there's a plethora of beach cottages to luxury houses on offer, as well as traditional hotels or affordable hostels. Yep, it really is that colour. Most people head to Terrigal or Avoca when going North, but don't discount Patonga. The most Southern beach on the Central Coast, it's about an hour and a half drive away from Sydney. Quieter than the more touristy spots, Patonga's main beach, as well as neighboring Pearl Beach is relatively quiet and the water is calm, making it great for swimming. Stay at the iconic Patonga Beach Hotel, or splurge on some luxury at the Driftwood By The Water Guesthouse, which sleeps eight. If you're into wildlife, this is your ideal weekend away. Just under two hours drive from Melbourne, although it's an island it's reachable by car due to a bridge over the shallow waters of the Western Port. The island is home to heaps penguins, seal rocks and koalas, making it ideal for a family nature adventure. If motor sports are more your thing, check out the Phillip Island Grand Prix Circuit, home to the MotoGP. Stay at the Ramada Resort Phillip Island if you're after some luxury, or choose from lots of camping grounds, backpacker options and self contained apartments. 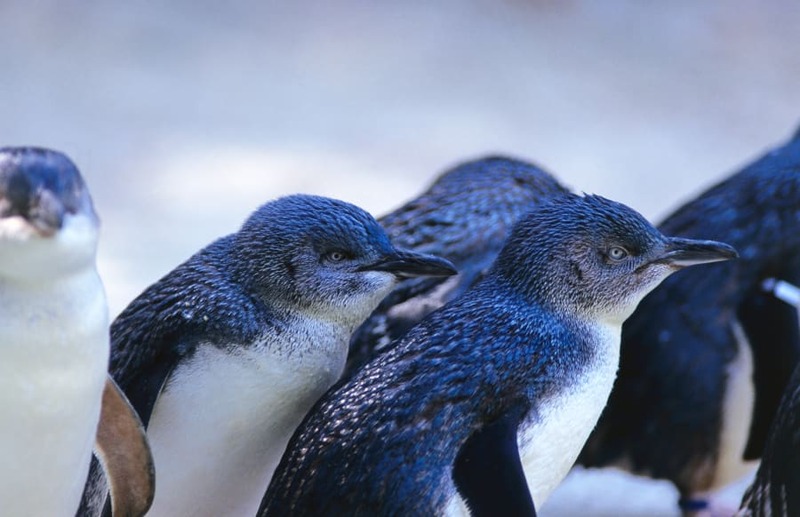 Phillip island is famous for it's population of Blue Fairy Penguins. If R&R is on the cards, head to Hepburn Springs. You'll find a high concentration of mineral springs in the area and in tern, a lot of wellness spas. The area offers great fishing spots, as well as exceptional food and wine. Stay at the Hepburn Boathouse and Spa for state of the art hydrotherapies including relaxation and salt therapy pools, or forget being healthy and visit the famous Daylesford Chocolate Mill Shop in nearby Mount Franklin for some cocoa goodness. About three hours from Launceston you'll find Rosebery. A small town with a population of only a thousand, the quaint spot offers peace and quiet as well as a look at the mining history of the region. Closeby is Montezuma Falls, Tasmania's highest waterfall, and along a winding dirt road from 6kms from Rosebery is the pretty little spot of Williamsberg, which is worth a visit for the forest lookout alone. The Tullah Lakeside Lodge is a a three star hotel with all the essentials you need and in a great location for exploring the surrounding areas. Australia's oldest surviving German settlement is just half an hour from Adelaide. The village-style town kind of feels like you've gone back in time or overseas, and there's heaps to do. The quaint shops are perfect for picking up gifts while the many eateries in the area offer traditional German fare as well as more modern cuisines. Stay at The Manna of Hahndorf for a cosy hotel in a central location, or check out The Hahndorf Old Mill Hotel for cheap as chips, adorable accommodation. Perth locals will agree, Rottness is one of Western Australia's most precious gems. Just over 30kms from Perth, you'll need a boat to get there, or catch the ferry. Once on the island you'll be sunned by the aquamarine waters -- pictures just don't do them justice. Hire a boat to fully enjoy the surrounds, or stay at Karma Rottnest -- a property offering six varying styles of accommodation to suit every budget. Don't forget to try and check out a Quokka while you're there. The stunning waters make it perfect for boating. 80 kms north of Darwin you'll find the Tiwi Islands. You'll need to hop on a small plane to get over to them, but the nail biting trip will be worth it. The two main areas are Melville and Bathurst, and around both you'll find stunning rainforests, untouched waterfalls and traditional Aboriginal landmarks and burial grounds. Accommodation options are modest and limited, but there's so much to see you won't be in your room much, check out Melville Island Lodge and Bathurst Island Lodge. 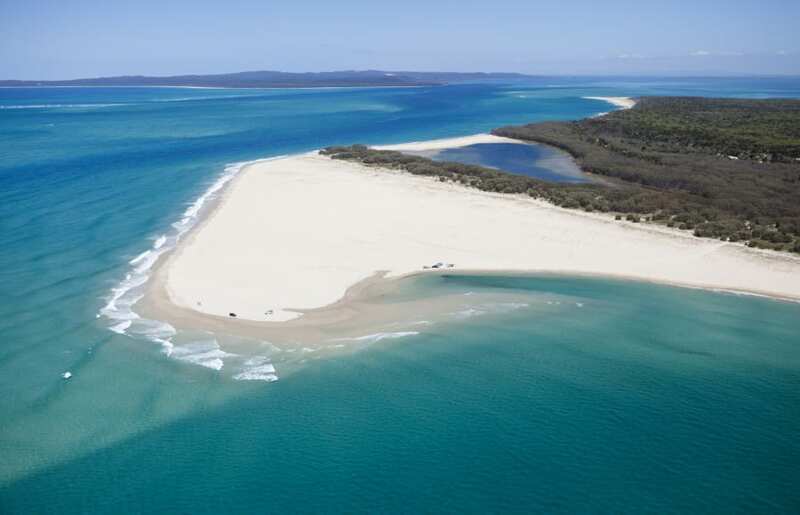 40kms off the coast of Brisbane you'll find Moreton island, and on it, Tangalooma Island Resort. To get there take your car on the ferry, jump on a boat (which takes about 72 minutes) or splurge on a helicopter. It's an ideal spot for adventurers as there's heaps of hiking and Four Wheel driving to do, or if you're more keen to relax, check out the stunning white beaches and perhaps go for a lazy snorkel. You can feed wild dolphins by hand or go for a dive to check out old ship wrecks. The resort offers hotel rooms, units of family suites. Located in the Gold Coast Hinterland, this spot is 25 minutes from the beaches but feels like a world away in an exchanging green forest. You can stand on the top of an ancient volcano (don't worry, it last erupted 23 million years ago) for a great view of the surrounds, and take a dip in one of the many swimming holes. Dancing Waters Cottage is an adorable accommodation option if you're looking for some romance, or check out Echo Valley Farm Cottage for a self contained family stay. A glimpse of Purling Brook Falls, Springbrook. Just over 30km north of Canberra you'll find Gundaroo. It's a small historic village within the rolling countryside and is the perfect place if you really do want to switch off and get away from it all. Boasting just a pub, general store, a park and a few churches, the main strip is preserved in its traditional style. Accommodation is limited -- choose from the Mallee Gum Cottage, the Gundaroo Colonial Inn or a few kms away, the Redbrow Garden Guesthouse. It's the perfect place to experience a little bit of quintessential Australia.